Exhibition posters from the Lebowski Cycle Exhibition are now available. $28.00 including FREE Shipping and Handling within Continental US. This entry was posted in Exhibitions, Figurative Painting & Drawing, Prints, The Lebowski Cycle on October 17, 2011 by Joe Forkan. I believe that you can send an inquiry and they’ll tell you how much the international postage rate would be. Absolutely Fantastic Joe! Would you please put me on the mailing list for when the other Lebowski Cycle prints come out? Once again, truly very well done! I hope there’ll be a silkscreen/litho/etching… someday! 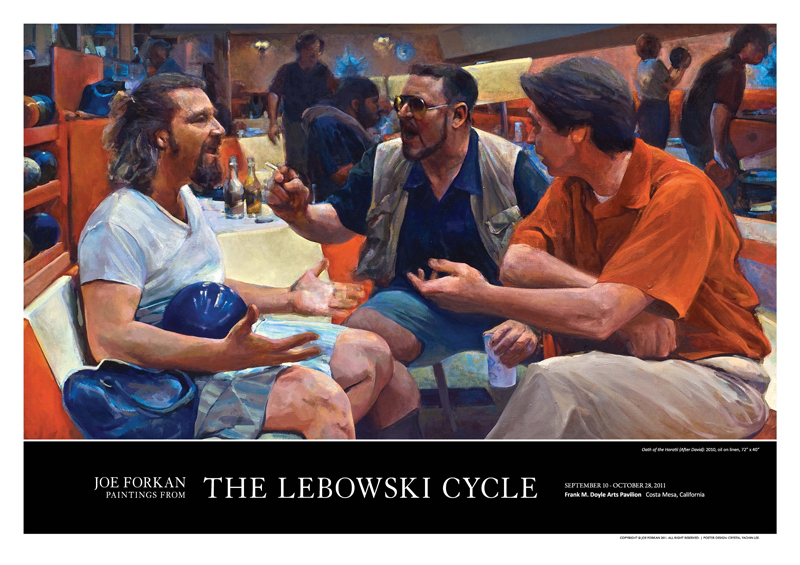 Are your prints for the Lebowski Cycle still available?